Misty's Twist O' Mist, Twist or Tee for short, is Misty's May Day Twister's third foal. Twist looks a great deal like her dam and brother, just a more petite version and a darker palomino. Mother and daughter made a brief appearance at the Chincoteague Pony Centre shortly after Twist was born, but protective Twister fretted to much so the pair returned home to the farm. 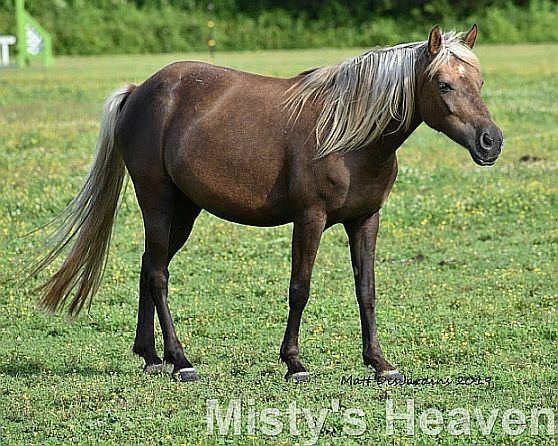 Twist has grown into a lovely little mare with a sweet personality that has been trained to ride.